What is Elephant’s Memory’s claim to fame? “Carly Simon was their singer for a short time.” Good answer, but not what we’re looking for. “They had a couple of tracks on the Midnight Cowboy soundtrack.” Also true, but still not what we’re after. “They were a psych rock band who wrote lyrics like ‘the final potato is peeled for the stew of my mind. '” You’re right! But that’s not it, either. Elephant’s Memory’s greatest claim to fame is that they served as John Lennon’s and Yoko Ono’s backing band for 1972’s Some Time In New York City. 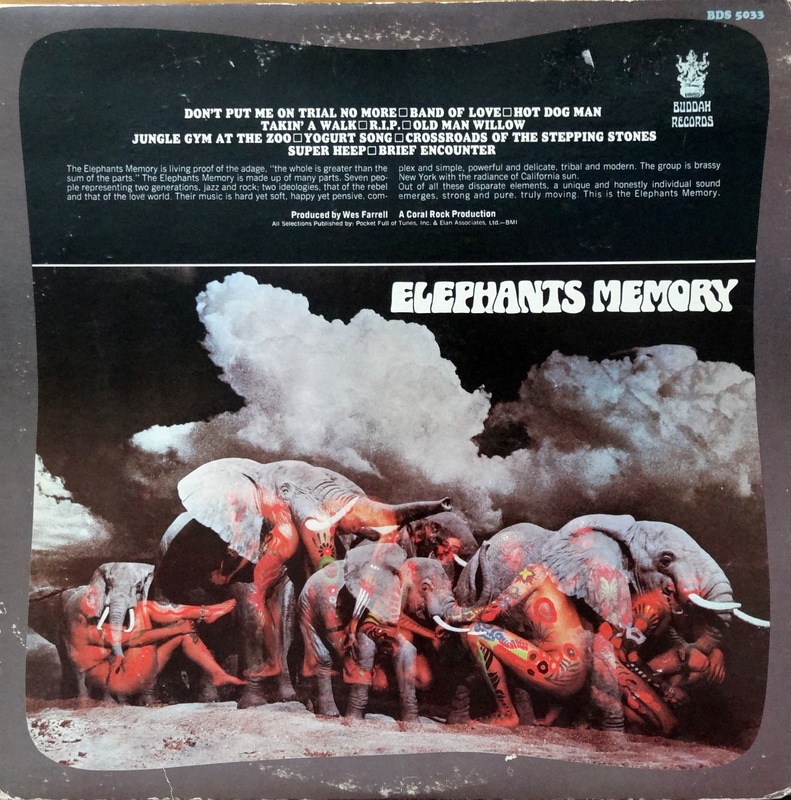 That same year, John and Yoko produced the follow up to 1969’s self-titled Elephant’s Memory ( the LP pictured here), also titled Elephant’s Memory (not pictured here, but likely somewhere being peeled like a potato for brain stew). If you dig psych, Elephant’s Memory–both of them, but specifically the 1969 album–belongs in your stacks. In good condition, this one is a $20 record all day. Happy hunting. I didn’t know that about Carly Simon! Yeah, and she named an album ‘No Secrets’? FAKE NEWS!